We are proud to partner with the following companies that recognize the importance and strong economic benefits of supporting independent locally-owned businesses. Contact Independent We Stand at (888) 787-8IWS to find out more about how you can help support the cause. Independent We Stand is sponsored by STIHL Inc., a leading manufacturer of outdoor power equipment. STIHL has sold its products through thousands of independently owned servicing dealers in the U.S. for over 40 years. For more information visit STIHLUSA.com. Do it Best Corp. is the only full-service US-based, member-owned buying cooperative in the home improvement industry. With more than 3,800 member-owned locations, Do it Best Corp. serves independent hardware, home center, lumberyard, industrial/commercial and web-based businesses. For more information about Do it Best Corp., please visit independentsdoitbest.com or shop online at doitbest.com. Nationwide Marketing Group works on behalf of thousands of independent appliance, furniture, bedding, electronics, specialty electronics, custom installation and rent-to-own dealers, helping them grow their businesses and thrive on their own terms. With over 5,500 members operating more than 14,000 store fronts, Nationwide Marketing Group is the largest buying, marketing and business support organization of its kind with members representing billions in combined annual sales. For more information about Nationwide Marketing Group, please visit www.nationwidegroup.org. 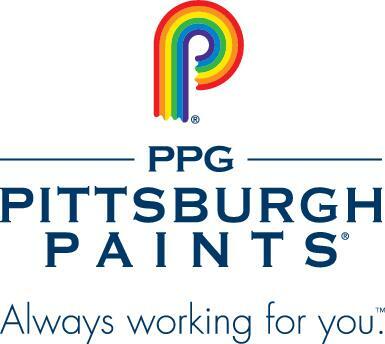 For more than 100 years, PPG paints, stains, and specialty products, have been sold through independent, locally-owned paint retailers. 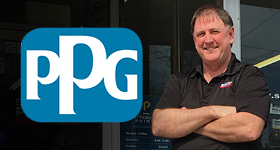 PPG is well-known for their breadth of quality products, and dedication to partnering and meeting the needs of the professional painter and do-it-yourself consumer.